Google has acquired the technology, patents and “certain assets” of online trust seal provider KikScore, signalling its intention to expand its Trusted Store program and allow its users to shop with increased confidence across the Web. KikScore announced the acquisition on June 1, sharing news on its blog that “the KikScore technology and certain assets” had been bought by Google and its service would be shut down on June 28. The search giant also inherits the company’s 1700+ customers. As of now, KikScore is now recommending its customers sign up with Google’s Trusted Store service, even though the two services are slightly different in their nature. 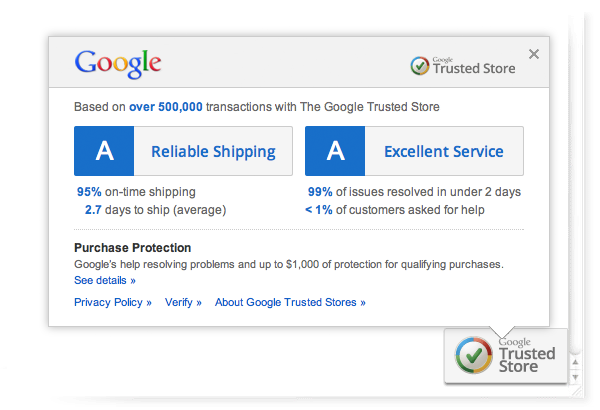 Launching in October last year, Google’s Trusted Store program is designed to provide businesses and merchants with online ‘seals of approval’ that help shoppers identify if they can be trusted. Businesses must adhere to strict shopping and customer service guidelines, displaying a dedicated seal (or badge) on their site. Google also provides a free purchase protection service that helps consumers resolve billing, shipping or return problems. Google, of course, not only acquires KikScore’s underlying technology but it also gains control of its all-important patents. 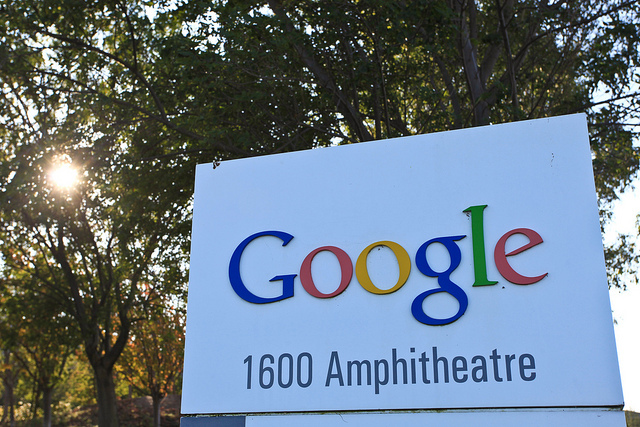 The company was started in a Fuddruckers restaurant in 2008, today it is part of Google. KikScore co-founder Raj Malik explains in the acquisition announcement that he will not join Google, instead he has “another startup launching this summer,” confirming that Google really is after the company’s technology and intellectual property, not its workforce. Google’s Trusted Store program has a distinct focus on e-commerce but KikScore is more about building trust between the consumer and a business. This could mean that Google is ready to take the next step, moving beyond e-commerce and expanding its trust seals to a wider set of businesses. Terms of the deal were not disclosed and Google has not disclosed its plans following its acquisition. We have reached out for comment and will update the article should we receive a response.